Our Pet First Aid Level 2 (VTQ) course includes first aid topics and training to empower you to take care of your pet. 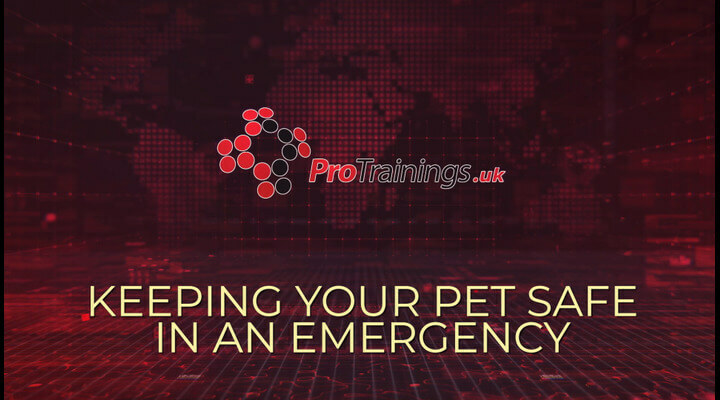 We include a variety of first aid topics including help for small, young, or older pets. Included below are some examples of what you will learn in this course. If you are driving and collide with any of the animals listed below you must stop and report it to the police as quickly as possible, you must remain at the scene until the police give you permission to leave. This applies whether the animal has been killed or not. If you witness an accident and the driver fails to stop or leaves the scene, try to make a note of their registration number and pass the information to the authorities. If you need to treat an injured animal, make sure that in doing so you don't endanger yourself or other road users. Animals may act aggressively or out of character when they are in pain or scared, so take extra care and talk to them the whole time and be careful not to get bitten or scratched. Do not give medications or food as this can interfere with the treatments a vet will maybe give and can delay further treatments. Once you arrive at the vet, if they are expecting you they can come to your car and assist you in bringing the animal into the practice. Making sure they are expecting you will ensure that the animal receives prompt care on arrival. Prevention is better than cure, so ensuring the areas that animals are kept safe is very important. Finding all dangers is not easy but by taking a little time to look over your home could prevent an accident from happening. Now we are going have a lookout with cats and kittens, the foot, and also the claws. So, what is different about a cat's claws and feet compared with a dog's? You need to clip their claws if they are going to be indoors. An indoor cat, you need to clip their claws, because you do not want them scratching on your furniture, and also supply them with a scratching post, and you can train them to go use a scratching post by putting a little bit of catnip on it which they are attracted to, and if you keep their claws, just nip the ends of the claws off, then it saves them scratching young children unintentionally. You need to take the kitten where the mother would hold the kitten when they are babies, and just hold her there and turn her on her back. Now this sort of immobilizes her because this is how her mother would pick her up when you see them moving them if they want to move them around, so she becomes immobilised and floppy. And I've only gently got her on the back of her neck, and then support her back end so she is all lovely and floppy. Definitely for two people. So, if you want to take her as I have just shown you. You just take her back of the neck, and then I will just take a claw, and we have got the dewclaw at the top of the leg there, and it literally just snips the end off. And again, you just get hold of the claw and just push the claw out. And again, just snip the end off, and she's purring away as we are doing it. And that is one paw done. And if you do this from when they are little, they are always used to having it done, and then there is no need to take them to the vet to have it done. It does not need doing that often, it is just as and when you think their claws have got a little bit sharp. And so, when they grow up and they are bigger, they are used to having it done so they are not going to put up any resistance. So, in clipping the claws there, we are using proper clippers. And these are not that expensive, are they, to actually buy in the shop? But what should you not be used? Do not use scissors. If you use the proper equipment, then it is very easy to do and there is not going to be any accidents. When you did that, obviously you just took the very end off. If you did go too far is there a chance, then of the claw bleeding? Yes, because there is the wick of the nail, so it is very important, say to do it more often, but only take the very end off. So, you are actually just taking the very sharp end bit off, rather than think, "Oh, well I will do it, and then it will not need doing for a long time." You have to be very careful not to, obviously take it down too far. And also, on certain cats it is very easy to see because she has light coloured claws, some cats have black claws, so it is more difficult to see. So, it is very important only to take the very end bit off. There are many types of illness, far too many to include them all on this course. Understanding every illness is not vital but understanding when something is wrong is important as early recognition of an illness will enable treatment before it gets too serious. Firstly you need to know what a healthy dog is like then you know when something is wrong. 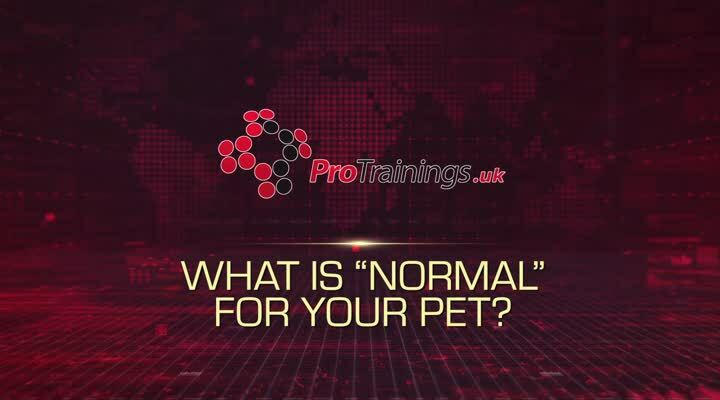 If you know what normal is for your pet you should easily know when something is wrong. Signs are things you observe and symptoms are what the patient tells you. With animals, unfortunately, you do not have symptoms because they cannot tell you but they have a lot of ways they give you signs that you can observe and act on. Respiratory disorders showing as coughing, breathing noises, wheezing, sneezing, laboured breathing or discharge from the nose. If you notice any of these problems or signs that you do not know what they are, you need to ask your vet. Your vet will need to know as much as possible so remember or write down what you see. The vet will examine your pet and carry out any tests necessary to diagnose and treat your pet. 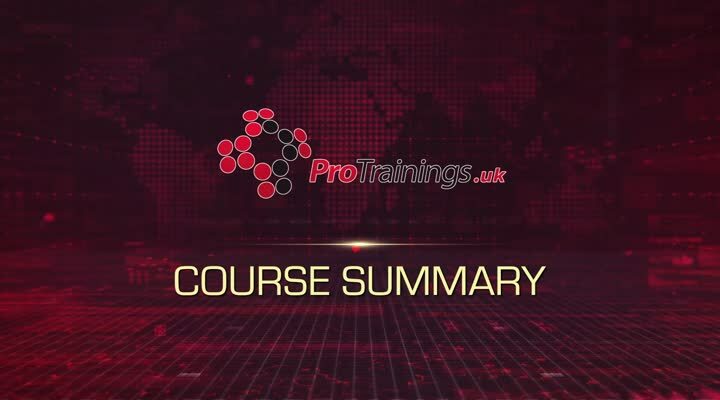 Below is the content of the online course. Classroom courses may vary slightly. Pet First Aid Level 2 (VTQ) is rated 4.6 out of 5 based on 1550 ratings.